Hizbullah will be wherever is needed in Syria, its leader promises. Hizbullah will be wherever is needed in Syria, its leader promised on Friday, according to Al Arabiya. Hassan Nasrallah said his terror group’s intervention in Syria was “late” and came in response to a “global project” led by the United States and Israel to control not only Syria but the Middle East as a whole. He attacked pan-Arab television stations Al Arabiya and Al Jazeera and accused them of broadcasting “not only inaccurate, but false” information on the conflict. The Hizbullah chief said for the first time that his forces will remain involved in the conflict after helping the forces of President Bashar al-Assad control the town of Qusayr. 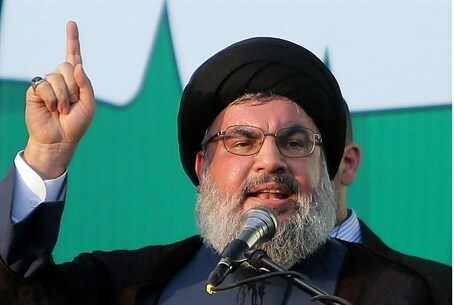 “We are going ahead with our project and we bear all the consequences of it,” Nasrallah said, according to Al Arabiya. However, its terrorists later encircled Qusayr with regime troops before the launch of a withering assault on the strategic border town. Hizbullah has been condemned for its role in the Syrian civil war. The Gulf Cooperation Council (GCC) announced this week it will take action against Hizbullah loyalists living in the GCC countries, because of the terrorist’s group involvement in the Syrian war. One of the states, Bahrain, recently became the first Arab country to blacklist Hizbullah as a terrorist organization and later banned opposition groups from having contact with the organization. Influential cleric Sheikh Yusuf al-Qaradawi, president of the International Union of Muslim Scholars, slammed Hizbullah this past week as the “party of Satan” that seeks to “sow discord” among Muslims.